How does $175 a month sound? Complete podiatry ultrasound package including fully-digital ultrasound, accessories, supplies, and full suite of podiatric ultrasound training materials! Everything you need to get started and making profits. Easy financing available as low as about $175/month. Exclusive training DVD's and access to our exclusive Podiatry Ultrasound Resource Training site, bullet-proof billing and reimbursement guide, sample reports, and more! NEW! Lifetime GOLD Membership to our new Podiatry Ultrasound Training Resource Site. Like More Info? Easy! Just Click Here. Podiatry Ultrasound ... Why Choose Fisher? We specialize in podiatry ultrasound and and in helping podiatrists get started with ultrasound in their practices — quickly, effectively, successfully. Podiatric ultrasound will enable you to provide far greater care to your patients, through enabling you to be more precise in your diagnoses and the treatments you prescribe. Ultrasound will also generate incredible new profits for you podiatry practice, and increase your referrals. Fisher Biomedical has put together the finest podiatry ultrasound package available, combining the best ultrasound in its class with a complete accessory and supply package to give you exactly what you need to succeed (no less and no more! 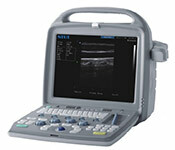 ), as well as the most comprehensive ultrasound training and support package in the country. We want to make sure that you are using your ultrasound successfully in your practice, and generating significant profits beginning in your first month. Indeed, with our coaching you will have the ability to literally pay off your entire investment in under six weeks. For podiatry, the stand-out system right now is the CTS-5500+, which, with the latest software developments and specialized configuration, has exceeded everthing else in its class. This system now boasts a powerful (and upgradeable) Linux-core software platform, huge image storage capability, two USB ports, and a USB 2.0 flash drive for downloading images to your computer. See CTS-5500+ product details. Some companies will try to sell you systems costing twice these models much for foot and ankle ultrasound — but that's completely unnecessary. We would rather set you up with the right ultrasound system for your practice, at a lower price, and see you turn a profit as quickly as possible. Now you can have a full 15" LCD crisp display and a 5 - 12 MHz linear probe — without breaking the bank! This is our most exciting podiatry ultrasound to date. If image quality means everything to you, then this is the system of choice. See CTS-8800+ product details. For more information on bringing podiatry ultrasound to your practice, please fill out our short inquiry form or feel free to call us at 800-839-0722. Bursitis ... retrocalcaneal, metatarsal, etc. More information on podiatric ultrasound procedures, CPT codes, and reimbursements. More information on our podiatric ultrasound training package.